Many traditional methods for detecting airborne sources of contamination rely on the deposition of the contamination onto a surface. For example, surface swabs might be taken, or bioaerosol sampling might be undertaken with a sampler that relies on the impact of biological particles onto a solid growth medium. These methods are unable to deliver an accurate measurement of airborne load. 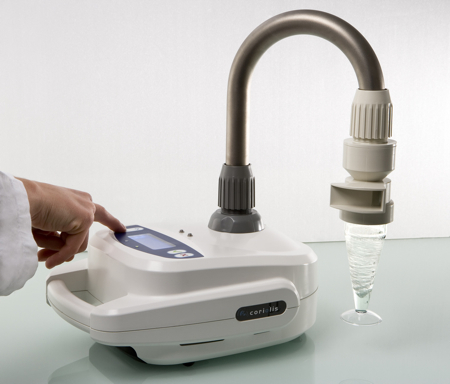 In contrast, the Coriolis µ employs a wet-walled cyclone technology that improves bioaerosol sampling for bacteria, pollen, endotoxins, viruses and fungal spores. By passing sample air through liquid in a cyclone, the Coriolis µ is able to collect airborne particles in a liquid at a high flow rate (300 l/m) with validated efficiency. The liquid containing the particles can then be analysed using one of a number of the latest rapid microbiological analysis methods. 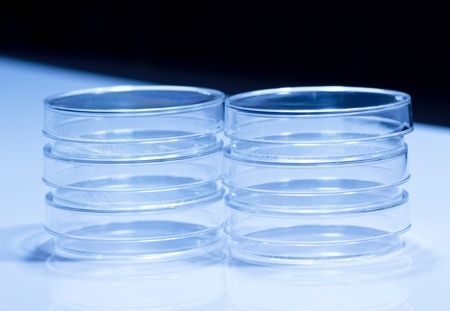 The Coriolis µ offers advantages for sampling air with a high bioaerosol burden (which would saturate traditional solid media) because the liquid can be divided into multiple agar plates. However, this technology is also ideal for cleanroom applications in which air has a low burden, because the Coriolis µ can sample for an extended period. 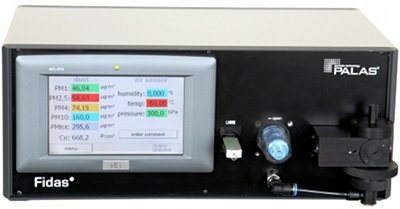 Over the past 10 years, Bertin Technologies in France has developed the Coriolis technology in conjunction with the French Army, the Paris Hygiene Laboratory, the French network of aerobiological monitoring (RNSA) and industrial partners in cleanroom control and pharmaceutical manufacture. The technology has been developed to meet the needs of a wide variety of applications, some of which are given here. 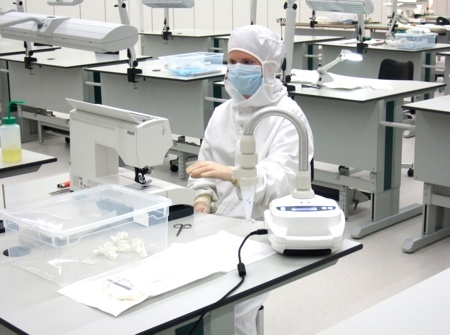 Cleanroom control: A cell culture laboratory working in cleanroom conditions with a microbiological safety cabinet identified pollen and mould spores in cultures. However, this contamination was not detected by the traditional air control methods described in ISO 14644 and ISO 14698. Innovative methods for air sampling (Coriolis) and analysis were therefore employed to control the room air and to determine the cause of product quality failure. Following changes to the decontamination and air management system, and to work procedures, the levels of microbiological contamination were reduced to <3 particles/m3 of air for each control point. Medical application: Indoor fungal contamination is a major source of nosocomial diseases in hospitals, so it is important to monitor environmental fungal contamination, especially during outbreak investigation in epidemic situations and during building construction and renovation work. Moreover, air assessment is also useful to validate the efficiency of air treatment in wards with high risk patients such as those in intensive care and haematology. 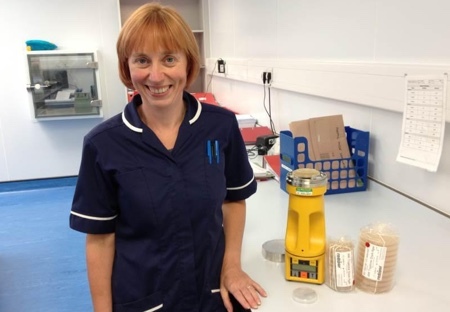 The Coriolis µ has been used in hospitals by hygienists with responsibility for biosafety assessment in locations such as surgeries, recovery rooms and patient wards. If air purifiers are not available or during building rehabilitation work, Coriolis µ has been used to collect the global air burden in a short period of time. 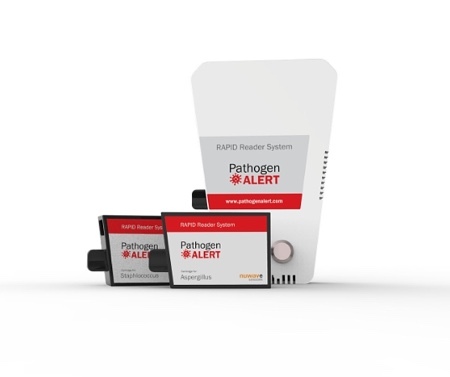 Since hospital laboratories are equipped with the latest qPCR (quantitative polymerase chain reaction) equipment and corresponding primers, rapid evaluation has enabled fast remedial action. 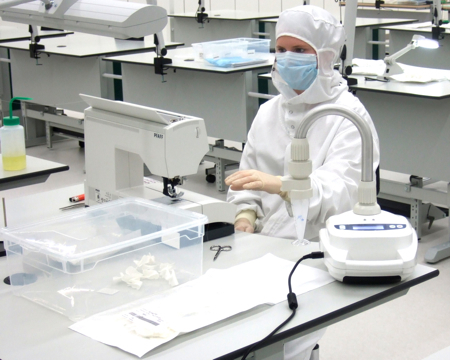 In common with cleanroom applications, many medical environments have a low concentration of target particles, so it is often necessary for Coriolis µ to collect over a longer period – one hour or more. Conventional culture methods for enumerating environmental fungi are time-consuming and tend to underestimate the number of micro-organisms if they rely on culture formation. However, the viability of a micro-organism is an important consideration in a hospital environment because it determines the level of infectivity. The Coriolis air sampler was therefore evaluated in a study undertaken by a University Hospital in France, in conjunction with a solid-phase cytometry (SPC) system, which enables the rapid identification of viable airborne fungi. The trial was undertaken at sites with different amounts of airborne fungi: an office (high load); a conventional room (medium load); a corridor in a haematology unit (low load), and a room with laminar air flow (very low load). Significantly more viable fungi (around 1.5-times higher) were detected when the Coriolis samples were examined with SPC in comparison with cultures: in the office 220 ± 45 viable fungi/m3 vs 133 ± 31 cfu/m3; in the conventional room 154 ± 30 viable fungi/m3 vs 98 ±16 cfu/m3; and in the haematology corridor 31 ± 9 viable fungi/m3 vs 23 ± 10 cfu/m3. A further advantage of SPC with Coriolis air sampling in comparison with the culture-based method was speed – typically five hours versus five days. Coriolis sampling is compatible with a number of rapid microbiological analysis methods, such as qPCR, which enables the quantification and qualification of most targets in as little as three hours. This combination of technologies has been successfully evaluated by the National Physical Laboratory. The objective of the initial work was to improve the accuracy and speed of traditional measurement techniques, and one of the conclusions of the project was that the wet walled cyclonic technology employed by the Coriolis gave the best performance for quantifying biological species such as fungi and bacteria, when used in conjunction with qPCR. Some of the experimental work was carried out at the Health Protection Agency (HPA) to quantify the efficiency of sampling and analysis methods for the measurement of airborne Aspergillus fumigatus spores. This work demonstrated good correlation between Coriolis/qPCR and the HPA’s ‘standard’ method for these measurements. 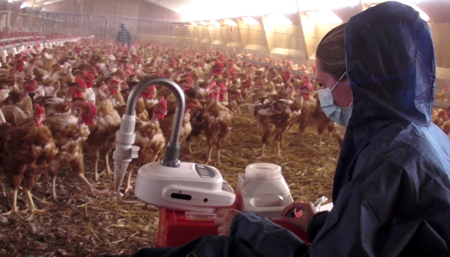 Worker safety in animal breeding: It is necessary to determine the exact nature of the bioaerosols in animal housing. This will improve the understanding of worker exposure and related diseases, and the understanding of the transfer of diseases between animals. Research in the dairy sector has demonstrated the vast complexity of bioaerosol components which could play a role in occupational respiratory diseases and further work is underway to assess the effects of biological air quality on animal breeding in a confined environment. Food production applications: Airborne contamination is a major consideration in food manufacture and food processing applications because contamination can significantly affect shelf-life, spoilage, appearance, taste and safety. Accurate sampling and monitoring is therefore essential and in common with the trials outlined above, Coriolis technology has been evaluated at nine different locations in a food factory. For comparison purposes, samples were also collected with a liquid impinger method and both sets of samples were subsequently incubated on OGGA plates at 25°C for three days. In all cases, Coriolis sampling revealed significantly higher levels of contamination and the sensitivity of the impinger was found to be 250cfu/100L air and the sensitivity of Coriolis µ was 30cfu/100L air. Outdoor environments: Legionnaires’ disease has been most commonly associated with hot and cold water systems in large buildings, such as hospitals, and infections are usually sporadic as opposed to outbreaks with large numbers of people affected. Historically, outbreaks have been associated with wet evaporative condensers (cooling towers), but increased controls have reduced incidences. Nevertheless, traditional monitoring techniques have focused on water samples, whereas Legionella bacteria are dispersed in aerosols and very little work has been undertaken to assess the levels of airborne infection. Since Legionella is difficult to cultivate on classical agar dishes, it is not detectable with the traditional method of impaction. However, it can be detected in air and quantified with chemiluminescence antibody microarrays with a short response time. In conclusion the complexity of airborne biological particles has been hidden by traditional microbiological sampling and measurement techniques; however, researchers, industrial practitioners, environmentalists and public health authorities are now looking to understand biological contamination better, and these new developments in sampling and microbiological analysis are providing an insight that has not been viable in the past. As scientific knowledge in this area grows and more organisations demonstrate the advantages of the Coriolis µ technology, cyclonic collection in combination with the latest rapid microbiological analysis methods will soon become standard methodology.